CINCINNATI -- The transformation of Washington Park in Over-the-Rhine didn’t happen through pure market forces. Neither did construction of the Warsaw Federal Incline Theater in Price Hill or the ongoing renaissance of the blocks surrounding Findlay Market. Each of those projects used New Markets Tax credits, which may be going away. What’s a New Markets Tax Credit? The long answer is complicated , but the short answer is that it’s a vehicle that allows investors to recoup 39 percent of the money they put into a project in a blighted neighborhood. They get the money back over seven years, so the businesses and homes they created are already contributing to the community long before the full tax break kicks in. Entrepreneurs and community development organizations are sounding the alarm that the decade-long revitalization of the Tri-State’s oldest, poorest neighborhoods will slow to a crawl or stop altogether if the federal tax bill passed last week by the House of Representatives becomes law. “This project would not be happening without the new markets or historic tax credits,” Bobby Maly, principal of Model Group , said. 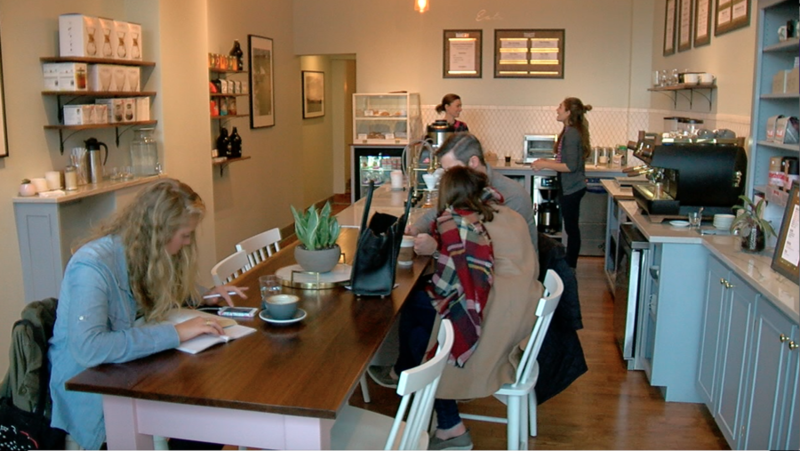 He spoke to WCPO inside Deeper Roots coffee shop, which just opened in a storefront across from Findlay Market on Race Street. It’s part of the rehabilitation of the entire block of grand but derelict brick buildings that Model Group undertook with the help of tax credits administered through Cincinnati Development Fund. The new Deeper Roots coffee bar in Over-the-Rhine. What had been a haven for crime and rats is now home to Deeper Roots, Epicuricean Mercantile Company grocery store and two dozen upper-floor apartments – a more than $10 million upgrade within a fully restored set of buildings. • Washington Park renovation from a crime-plagued, underused space to a mecca for families, concerts and festivals; it has also served as a catalyst for more than 400 new and rehabbed apartments, homes and new retail businesses around it. • Warsaw Incline Theater, a new 225-seat community theater, expansion of the Price Hill Recreation Center and a parking garage in East Price Hill. 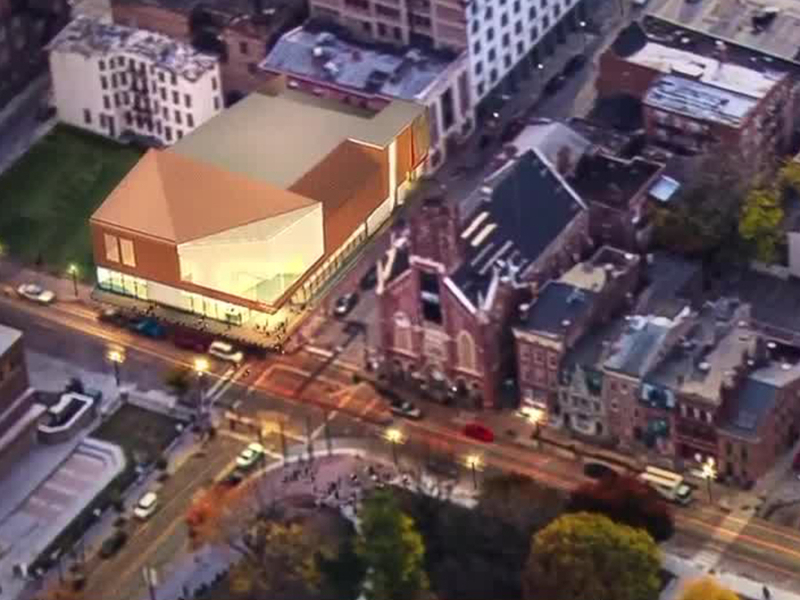 • Cincinnati Shakespeare Company’s brand new theater in Over-the-Rhine. • Market Square, a two-phase project rehabilitating blocks of Race, Elm and Elder streets near Findlay Market. • University of Cincinnati Gardner Neuroscience Institute, a $60 million project. • Broadway Square, a two-phase project in Cincinnati’s Pendleton neighborhood, which created 43 affordable apartments, 25 market-rate apartments and 10,000 square feet of retail. • Central Parkway YMCA rehabilitation, including renovating 85,000 square feet of the fitness center and creating 21,500 square feet of office space for YMCA’s consolidated administrative offices. • Avondale Townhomes, six homes on Woodburn Avenue that are the first market-rate home construction in the neighborhood since the 1990s. • 21C Museum Hotel, a 160-room hotel, restaurant and rooftop bar that transformed the dilapidated Metropole tenement. Westwood, Avondale, Walnut Hills in trouble? Maly said Over-the-Rhine may have the critical mass of new development to continue its resurgence without the tax credits. But other neighborhoods would probably not be so lucky. "We have such a strong foothold in a place like Over-the-Rhine that it will continue but at a much slower pace," he said. "But for neighborhoods like Westwood and Walnut Hills, those kind of neighborhoods, are a bit further behind in the curve of the revitalization story. They're going to have a harder time getting out of the gate without the tools of the tax credits." The tax credits program has been so popular that it enjoys unanimous support among Cincinnati’s two Republican congressmen, as well as Republican Sen. Rob Portman and Democratic Sen. Sherrod Brown. Rep. Brad Wenstrup and Rep. Steve Chabot voted in favor of the sweeping tax reform package that included the elimination of the New Markets Tax Credit and the Historic Tax Credit, another vehicle that has helped rehab efforts. The House bill passed solely with Republican votes and unanimous Democratic opposition. Chabot and Wenstrup are hoping the tax credits are restored if and when the Senate version is approved by the full Senate and Republican Party leaders reconcile the House and Senate versions. “From Portsmouth to Cincinnati, the benefits of the New Markets and Historic Tax Credits can be seen throughout Ohio’s Second District," Wenstrup told WCPO. "While the House tax bill did not include these credits, passing the Tax Cuts and Jobs Act in the House was just the first step in delivering tax relief to Americans. I look forward to the Senate quickly passing its tax bill, and urge both chambers to work together in a conference of thoughtful debate and discussion as we strive to finalize this bill." Chabot also expressed support for the Senate restoring what the House proposed taking away. Portman is a member of the Senate Finance Committee that approved a version of the tax bill that would preserve the tax credits. “Senator Portman is a long-time supporter of the New Markets Tax Credit and fought to ensure that the credit was preserved in the Senate bill. He believes that the credit is an important community development tool that has been particularly effective in Ohio and has bipartisan support,” Emily Benavides, a Portman spokeswoman, said. Brown also wants the tax credits preserved. His path to preservation is through opposing the Republican tax bill altogether, which would leave the credits unchanged. The full Senate is due to consider the tax bill after Thanksgiving.